True, Turbo-Air, Beverage-Air, McCall, Randell, Continental, Delfield, Fagor, Traullsen and More. 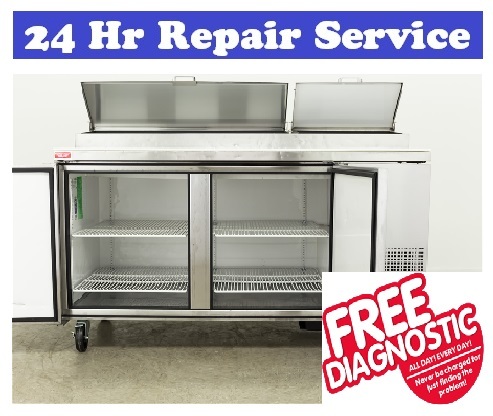 We understand the importance of getting your prep table back up and running. And repair is often more affordable and convenient than just buying a new unit. We’re here for you, seven days a week-with backup trucks and technicians standing by. Our trucks are packed full of parts needed to get you taken care of, the first time. Our technicians have been factory trained, and all have more than 10 years experience in the field. © 2019 Phoenix Refrigerator Repair. All Rights Reserved. Handy man services. Not a licensed "contractor."